West Indian/International, Basseterre, Tel: 465-4197. Beautiful views from above at the Circus, the heart of town. Wonderful breakfast and lunch menu. P.O. 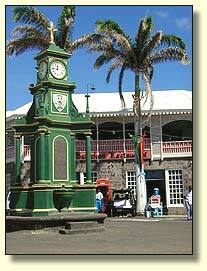 Box 485, Basseterre, Tel: 869-465-0143. Beautiful views from above at the Circus, the heart of town. International, Dieppe Bay, Tel: 465-7260. Historic building with beautiful furniture, outside dinining. Fine Cuisine. West Indian/International, Old Road, Tel: 465-9121. Located in the historic previous French General's headquarters building. THE place to go for lobster!!! outdoors barBQ, exciting lively atmosphere, owners catch their own fish, ribs fantastic. 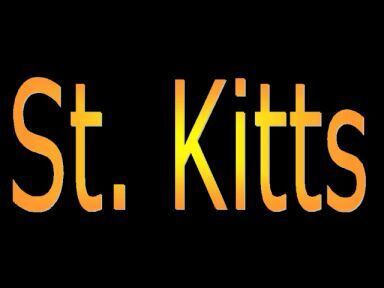 West Indian/Continental, Fortlands, Tel: 465-2754/2380. West Indian/Continental, Turtle Beach, Tel: 465-9086. Frequented by tourists, located right on the beach with beautiful views on Nevis. West Indian/Innovative, Mount Pleasant, Tel: 465-6221. Romantic plantation inn, wonderful surroundings, gardens, and views. Go there for a Sunday brunch, they offer a wonderful West Indian buffet. Horizon's Villas, Fine Cuisine, Tel: . One of the favorites! Try the filet mignon, rack of lamb, seafood tortellini, they are out of this world. Excellent service, nice views on the ocean from above, great atmosphere. Tel. 465-1960. Italian cuisine, decorated in the style of the '50s. The place to go on Saturday nights (karaoke).